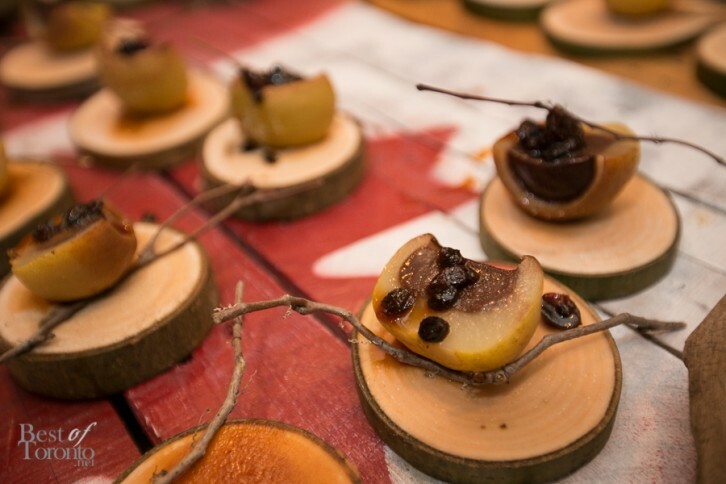 From the same group that created important food events for a cause, Foodstock followed by Soupstock, the Canadian Chefs’ Congress held a timely “Spring Thaw” event to celebrate the arrival of the new growing season, just as the weather started getting better. 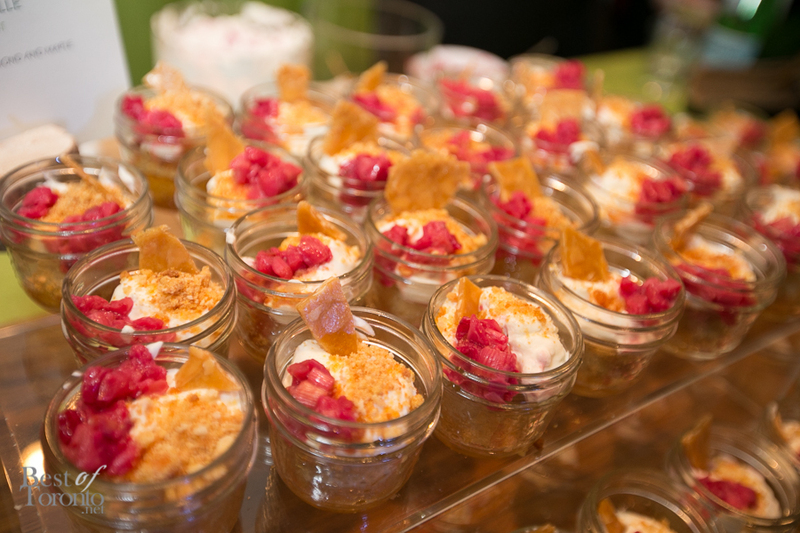 24 chefs and food purveyors gathered on March 31st, 2014 to showcase delicious Spring-themed organic, non-GMO creations. I arrived a bit late to Palais Royale but luckily I was still able to witness many of the varieties of delectable bites out on display. One of my favourites includes the juicy, sweet serving shown in the image at the top (“Poached Pear” by Magna Golf Club’s Jason D’Anna). It was so incredible I’ll admit I had 2. 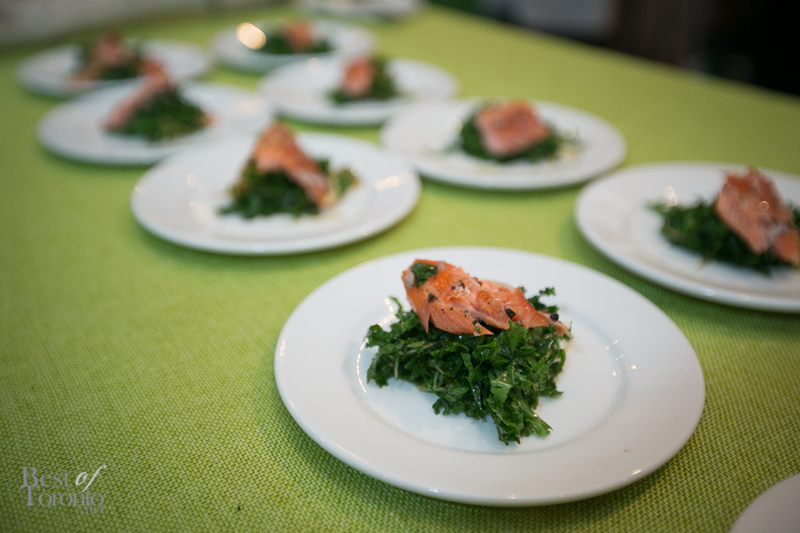 And here are just some of the many more memorable bites from Spring Thaw. Live music was by The Darren Sigesmund Jazz Quintet. I was impressed with the selection of refreshments: wine provided by Wine Country Ontario showcasing 12 Ontario wineries and draught beer by Creemore Springs. 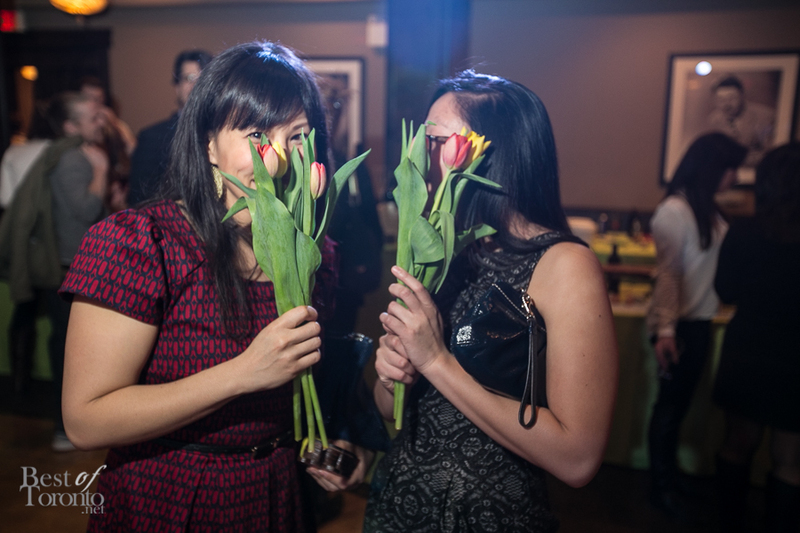 Guess who’s hiding behind the tulips? 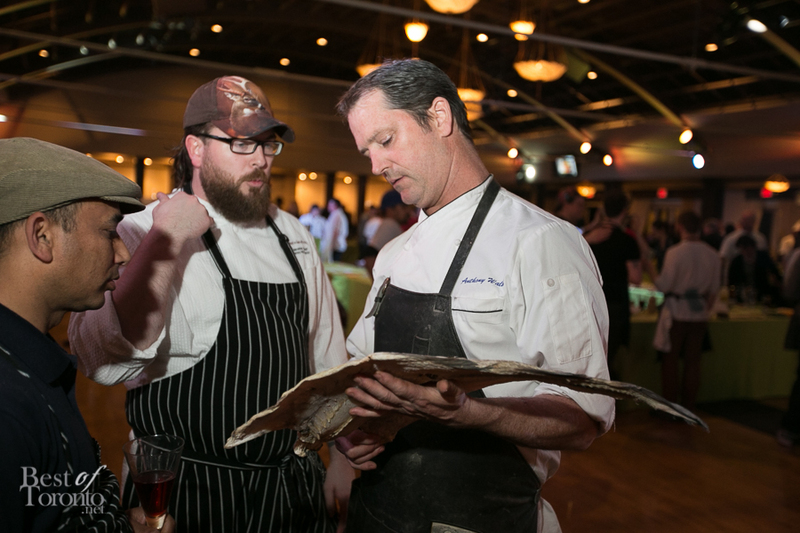 It was definitely an excellent food-focused event bringing together an incredible group of chefs in support of the Canadian Chefs’ Congress. ABOUT CANADIAN CHEFS’ CONGRESS LTD. 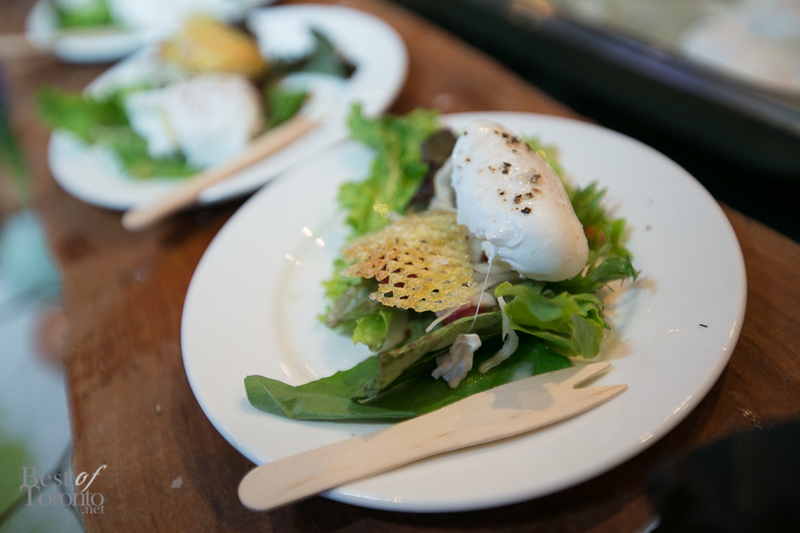 The Canadian Chefs’ Congress were the group behind the largely famous Foodstock and Soupstock events. The Soupstock event of October 2012 protested and successfully stopped the proposed Mega Quarry plans in Melancthon Township. 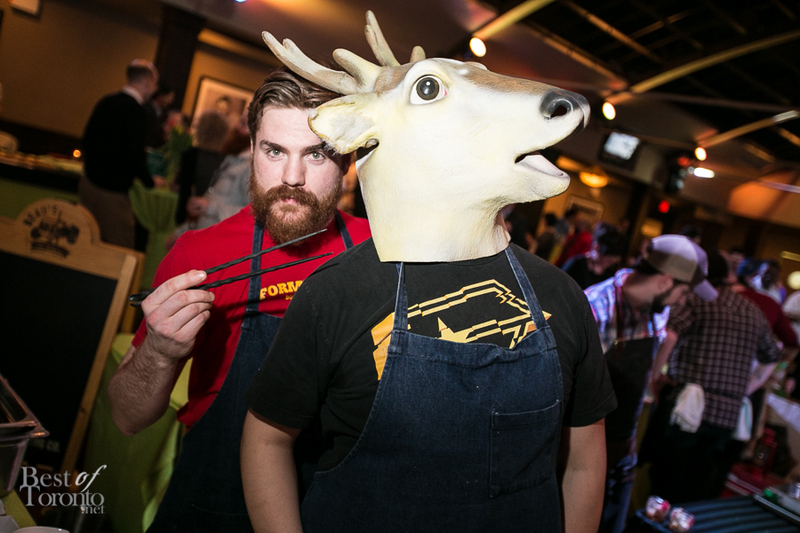 Through BestofToronto.net, I was proud to be able to help do my part of promoting Soupstock.